This is what happens when a pediatric dentist has been a pediatric dentist for far too long! 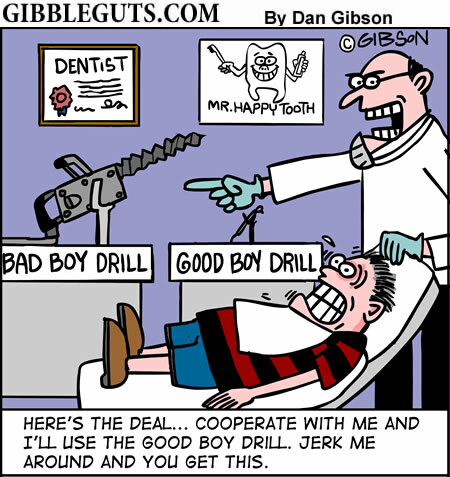 Special thanks to Dan Gibson, creator of Gibbleguts, for allowing us to use this comic here on DentalToons. He has been a freelance cartoonist for over twenty years. Check out Gibbleguts.com for many more hilarious comics. © Image property of Dan Gibson. All rights reserved.